Everything is dedicated to the Public Domain. Offline use, just download the file. Leave a comment on the latest blog post below. Open an issue on the wiki. Contact me some other way. I love it when people manage to use Gridmapper for something it wasn’t intended to do, like ship plans for Science Fiction games. I kept asking myself: how can I make it better? But last year I discovered the Starship Geomorph Book and decided that I needed to stop pursuing this goal. It has been done, and better than I ever would. And yet, some anonymous user managed to create the cool looking starship seen above. Whoever you are: very cool! A while ago I started working on a megadungeon map generator which documents every step of its growth using a little picture, and every one of these pictures links to a rendering of said map using Gridmapper for debugging purposes. The actual “result” is simply the link from the last image. Having the algorithm prefer growing new corridors into sections that are “less dense.” But how does one define that? If that doesn’t eliminate dead ends, have some sort of estimate of whether the corridor will end up in a dead end and abort these outgrows. Or eliminate dead ends after the fact. Placement of statues, altars, treasure chests, tables, beds, open pits and traps. Agressively trying to add more “starting” rooms for levels that are “done” but aren’t “dense enough”. All of these terms need decisions to be made. When I started the project, the first thing I did was draw the kind of dungeon elements I expected to find in a simple generated megadungeon map. Next, I drew a map using the elements I had identified. I also started looking at corridor lengths and the like. That’s what the numbers are for. And finally, I tried to identify some simple statistics to build a simple table of probabilities, a bit like a Markhov chain. Some thoughts: What about using a census of the region the proposed feature is going to go into, maybe up to 3 or 5 squares away, and the census values fall off by distance (1 square = 2, 2 squares = 1, 3 squares = 0.5, etc), and then if the value is above a figure you set the generator instead chooses a new location? Maybe you could use a random feature generator, something that works like the AD&D DMG dungeon generator, for traps/statues/chests/etc? It looks like you’re using something already, as I see that the generator will throw in the occasional portcullis or statue. To add a feature, I’d need to hook into this process and say, for example, that a big room without a stair case has a 30% chance of having an altar, and a 30% chance for a statue, and thus an about 10% chance for both. Or, in a settlement, the last small room has a 50% chance of containing a chest. I wanted to add copy & paste to Gridmapper. But how? With access to the clipboard? And what kind of data would I use? I decided to leverage the existing text export and import functionality. Do you think Delete and Backspace should delete the selection if it is currently active? Mouse users: hold Shift while moving the mouse. Also, no documentation. How to mention this on the help pane? How to integrate this into the demo? I’m on a macbook pro and I can no longer change floors. alt+arrows just draws the floor. Tried every button on the keyboard. Please help. Sadly, I’m away from my Laptop for the next four days. I hope you can figure something out! If all else fails, you can use an older version, e.g. 1.0,1.1,1.2, or 1.3. I just tried it on a MacBook Pro using Chrome, Firefox and Safari – and it worked as intended. Can you describe the exact problem you’re having, the software you’re using, the key’s you’re pressing, what you’re seeing, what you expected to see instead, all the stuff that might help me figure out what the problem is? For some reason I get the same problems with the older version, even though it’s shift+arrow key that switches floors...how odd. So I’m on Safari 10.1.1 on a Macbook pro. I used to be able to go up or down floors by holding down left/right shift key and pressing the up and down arrows. Now when I do shift+arrow on versions 1.1-3 (alt+arrow on most recent build), it starts to draw floor tiles instead of switching floors, which effectively limits me to building one-floor dungeons. I think you must be confusing Gridmapper with some other application. Shift arrows never changed levels (”floor”). To change levels, use the z key to go down and the y key to go up. Oh god, I’m an idiot. Thank you. Gridmapper now does caves (”grottos”). 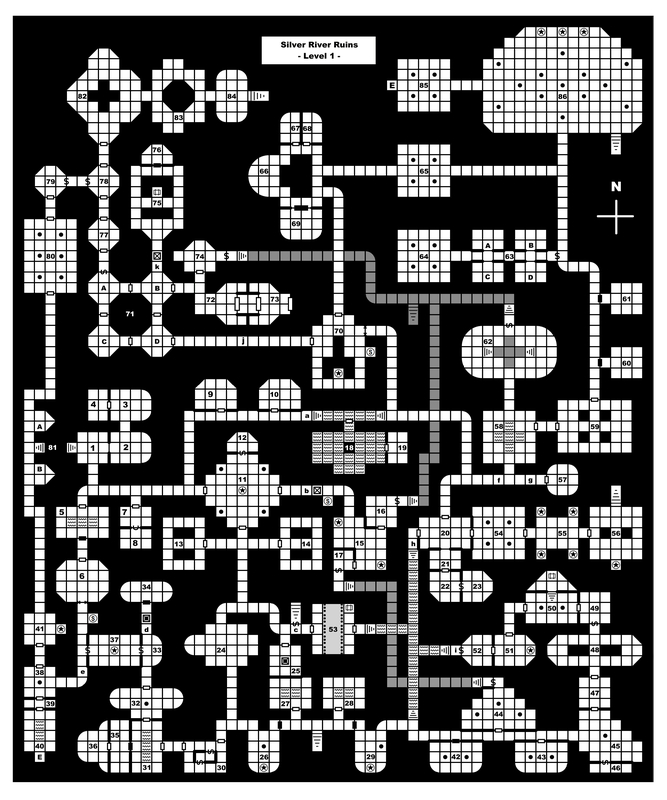 Click the image to get transported into dungeon mapping heavy. And I’ve prepared the ground for end-to-end tests using Nightwatch.js. I don’t think anybody ever used the ability to host a Gridmapper map, live. Well, the least used feature just got better! I know, I know. But hey, it’s free, and I liked working on it, so there’s that. The new feature: collaborate on a map. That is, where as before would one of you would be the mapper and the others could get a read-only view of what the mapper was doing, now you can all draw at the same time. That’s what I hope, anyway. A word of caution: In the spirit of all things Internet, there is currently no protection at all. Anybody can join a map. I’ll probably add optional passwords, soon. Please leave a comment if you were collaborating with friends and vandals joined your map! Please note that Gridmapper has no chat functionality. You must meet people online, elsewhere. One way to do this is to join the DIY DND chatroom on Discord. It’s like G+, but one ongoing conversation. And when you do collaborate on a map, please let me know. My current estimate of Gridmapper users is one or two active users. You’ll note that it uses n to create arcs. Here’s what you’ll get when you switch to the new version: the arcs turned into diagonals with walls. That’s because the new version supports more variants regarding diagonals and it treats arcs differently. Just to make sure you can always find the link to an old version of Gridmapper if you need it, I’ve made sure the individual maps currently saved on the wiki all link to Gridmapper 1.1. Just in case. This solves one of the issues on my list. It uses a to create arcs. You cannot use w to create diagonal walls, unfortunately. You also cannot use wall mode to place walls or doors in the diagonals. Maybe some day. Leave a comment if you need this. Do you use Gridmapper? 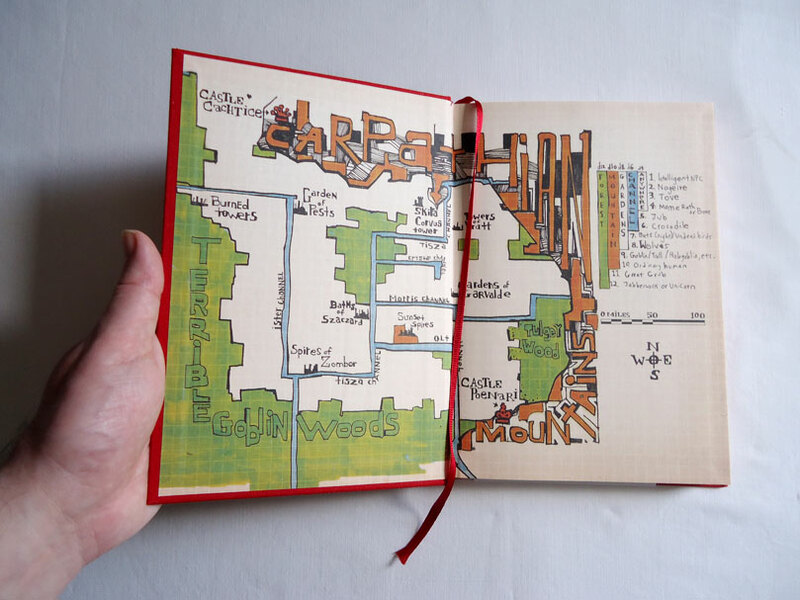 Please consider sharing your maps by leaving a link. Or upload a map to social media or imgur. Do you ever host maps for others to follow along as you map in an online game? 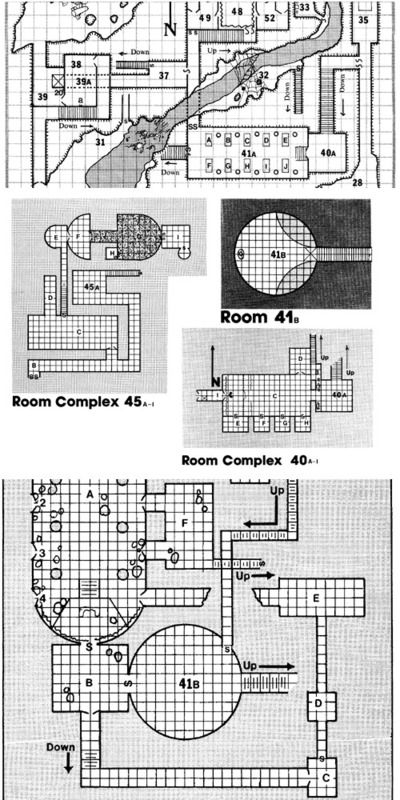 Alex, as far as I’m concerned Gridmapper is the single most useful resource on the internet for dungeon creation. I have absolutely no artistic ability, but Gridmapper has enabled me to create fantastic maps that only require slight image processing. Keep up the great work and I’ll stay tuned for further updates. Thanks so much for creating this (also, the diagonal wall is a godsend. Great update). Below is a map I created using the program and a simple image processing tool. I do have a couple of suggestions that could improve the program even further. More wall types would be great. Dotted line, two thin lines (for raised platforms), a curved line tile (similar to the diagonal line tile). I also saw at one point you had an “opening” for an archway option. I’d like to see that come back. More door types, such as a double door that fits into one square. Diagonal doors would be great as well. Being able to place pillars and doors on vertices would be great but I realize that’s likely beyond the scope of this program. You should be able to rotate the “c” assets in my opinion. Gridmapper is fantastic but this additional functionality would really make it superb. Thanks again for the great tool. WHOA!! This map is super awesome! Thank you for sharing! The problem with raised platforms are the corners. If you don’t use corners, it will be easy to do. I’ll have to think about something. The archway still exists but it’s a door variant. I don’t think I ever had any other? As for pillars on vertices I guess I could treat them like doors? Maybe something worth investigating. Also doors shifted by half a tile might work because the double doors already work like that. Rotating chests, beds and tables … I think this can be done. What would a bridge icon look like? Do you have an example somewhere? I added all the items to the issue tracker. Rotating chests, beds and tables has been implemented. You know, I’m not sure what to do for a bridge icon that would fit the parameters of this program. However, while contemplating that I came up with another stair icon that would be useful: a 1-tile stair icon where the lines went all the way across the icon instead of gradually getting smaller. Jennell Jaquays drew stairs like this in Caverns of Thracia. Seems like this tile would allow users to create stairs of any desired length. Yeah, but what about the arrow required? Where to place it, how long to draw it, or allow manual placement? Personally, I don’t think the arrow is absolutely required, as the direction of the stairs could be handled in the map’s key. But having an arrow wouldn’t necessarily be a bad idea! Also, I saw your post on r/osr! Small world. I’m really excited that some of these updates are going to be implemented. I’ve tried using windows to indicate bridges and it looks pretty OK to me, what do you think? That’s not a bad technique! I like the creative re-use of an asset. Very innovative. I tested it just now and it should certainly work for my purposes. I did think of another potential tile: a circular equivalent to the new “n” tiles. That is, a tile with a curved line bisecting it (you could do one half gray and one full whitejust like the “n” tiles). Not sure if there are any issues in implementing this or not. It would be great to be able to create a circular room within a room. Hm. Yes, maybe the three arcs need to exist in a walled variant, too. Something else, though: Ever wished for color coding? See #11. Yes, the arcs. Would have been clearer had I just said that in the first place, I suppose. Haha. Color coding would be great. I could see it having a wide variety of applications. In the past I’ve mostly mapped in black and white, but I use color occasionally when necessary (color is easy enough for me to do after the fact with an image processing program, but having it native to the app is always preferable). Love the Red & Pleasant Land map. I have hopefully improved the situation for users of Internet Explorer – at least marginally. I am now hiding all the elements I know not to work. In this way, Gridmapper is still useful, even if not fully functional. Everybody else uses Chrome, Firefox, or Safari, I’d say. Thus, no features for IE? Well, actually I did implement downloading of the SVG file for Internet Explorer. I currently have a way to do that, but I didn’t like it. It looks a bit off on the iPad Pro. It doesn’t look exactly the way I want it to on different operating systems. And so I decided to change it. Replace a lot of the XHTML other than the text area with pure SVG. And then, when it was nearly done, I ran into weird problems with Chrome. This was the first problem: When you click on the Download link, it turns invisible and some text that was invisible instead shows up. With the rewrite, making the Download link invisible turned all of the text invisible. Huh? After many iterations, I turned out that if I rearranged the links so that it wasn’t the first link, it worked. Huh? The second problem was that the text area suddenly started jumping to the left if more than a few lines of code were inserted by the Text Export link. Huh? I decided to kill it all. And now I’m sad. I really should find a better way to do this. It’s confusing! I’m mostly concerned about option 4, saving the SVG file. I should take a look at how Tiddly Wiki does saving. They must run into the same problems. I guess they do. Perhaps I can use some of their wording.